In the Telangana, BJP state state president K. Arvind said that strategies are being taken to bring the BJP to power. Laxman said at the BJP state office in Hyderabad. Telangana BJP leaders are likely to meet with BJP president Amit Shah on the 14th of this month. In June, Laxman said Amita Shah is coming to Telangana. 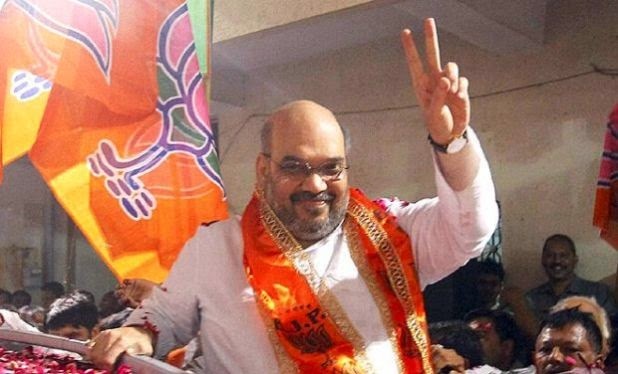 Amit Shah is scheduled to meet the BJP state office in Hyderabad on December 17,18 to finalize tourism rules. Laxman said, "Gadkari is spending Rs 45,000 crore on Telangana and Rs 1,500 crore funding for road development in Hyderabad two days ago," Laxman told reporters on the sidelines of a function in Hyderabad. Hyderabad. Laxman said, "Gadkari has been requested by the state BJP to set up some national highways along with Aurangabad and other national highways." Gadkari De Nakini Laxman said that the 3,000-km road to Telangana was renamed as National Highways in the next four years. Before Telangana's formation: State: 2,000 and 500 km of roads were the only national highways. Laxman said the two reservoirs are being constructed on the river. Laxman said that the project will be completed in this phase. Though the project is completed, drinking water and drinking water will be solved in the states of AP, Telangana, Tamil Nadu and Karnataka. Even though the Modi government is doing this development, the chief ministers of the two Telugu states said it was not enough to make unnecessary accusations against the Center. Laxman said the center would spend Rs 5,000 crore for the renovation of the Ramagundam Fertilizer factory. Even though the Center has allotted the license for the Kalshwaram project, the Center has been criticized by the Telangana government. How much money was spent on Telangana during the Congress? In the last four years, the BJP government has spent a lot of money on Telangana, The Congress is trying to win the Congress in Karnataka ... It is to make NTR spirit disturbing, TRS wants JDS to win, so the Tamil Nadu CMs are trying to defeat the two BJP said ..